Three Dollar Bill Y'all$ was Limp's first album. Some of the most memorable titles on this record are "Stuck","Faith", "Counterfeit", and "Pollution". 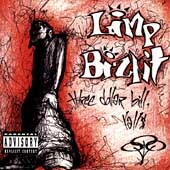 Three Dollar Bill Y'all$ is hard, heavy and in your face right from the get-go, from Pollution to Leech (demo version) Limp delivers.If you think you are a Limp Bizkit fan and don't own this CD, you are a POSER. 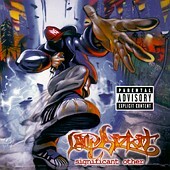 Significant Other was the album that really put Limp Bizkit into the mainstream. This CD contains the smash hit "Nookie" as well as "Break Stuff","9 teen 90 nine", "N 2 Gether Now", and "Show Me What You Got". There are also many guest appearances on this CD, the most notable would be Method Man on "N 2 Gether Now". Other appearances, in "Don't Go Off Wandering" are Johnathan Davis of KoRn and Scott Weiland from STP. This album starts off with the same energy as Three Dollar Bill Y'all$, but there isn't as much in your face, hard rock as TDBY, but it is still one of the best CD's released in the 90's.